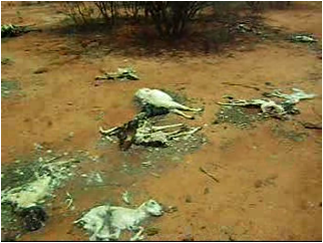 The Deyr rains have failed in Ogaden and food stocks are dwindling very fast and livestock is starting to die in many parts of the Ogaden. This is further exacerbated by the undeclared food and aid embargo in Ogaden. 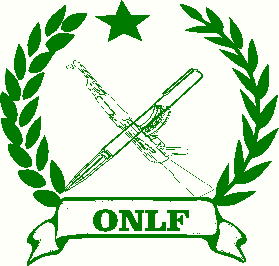 ONLF has received credible reports that the Ethiopian army and associated militia are looting foods and other necessities from Somalia under the ruse of controlling contraband while the people are dying of hunger and aid is severely restricted. In Addition, due to the current upheavals in Ethiopia, almost nothing reaches the Ogaden from other parts of Ethiopia, thus the people are caught between natural and manufactured draught. Another sinister development is the ongoing epidemic of cholera which the Ethiopian government is hiding. The Cholera started in the areas of Harar and Jigjiga and has spread to other parts of the Ogaden. During the last four Days more than 35 people died in Qabridaharre alone. So far, both the “regional administration” and the “federal government” has not responded in any meaningful way. Although the UN has mentioned the presence of the disease in Ogaden, still there are no apparent activities or the necessary alert for urgency that shall be expected in such situations. This is due to the usual pressure from the Ethiopian government that forces international agencies and NGOs to be reticent or minimize calamities in Ogaden and in Ethiopia in general, until the situation gets out of hand and many die.